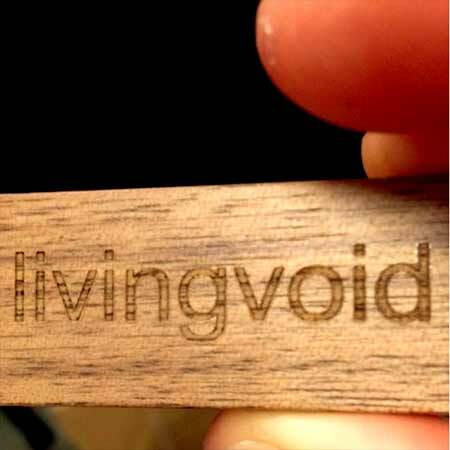 1 x engraved livingvoid wooden USB stick. 1 x small painting by livingvoid organiser Jack Chuter, created while listening to livingvoid. Each will be unique. 1 x A4 livingvoid flyer, featuring a list of all contributors.